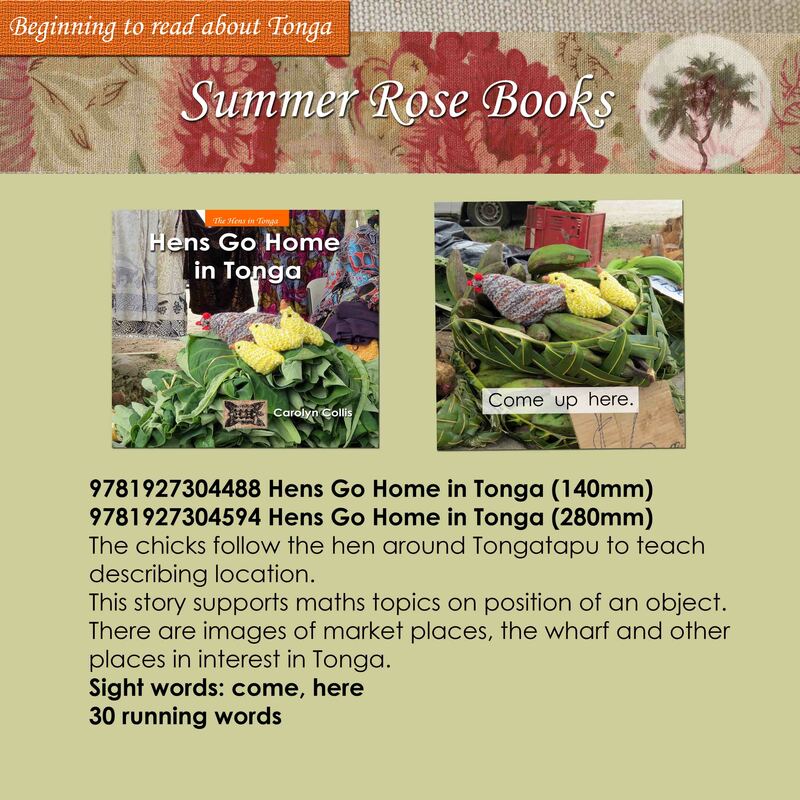 The chicks follow the hen around Tongatapu to teach describing location. This story supports maths topics on position of an object. There are images of market places, the wharf and other places in interest in Tonga.